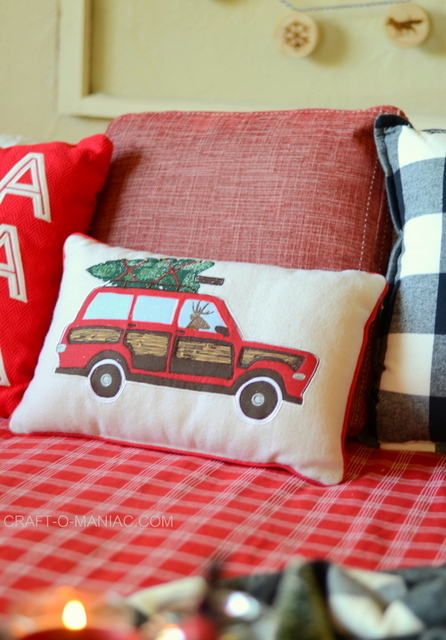 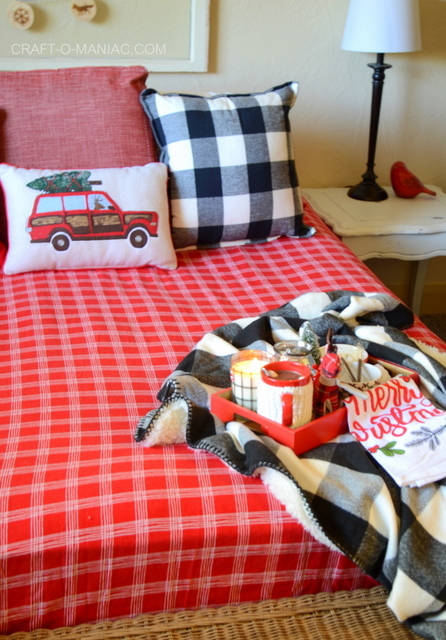 With it much colder now- some of us with snow- and the holidays just around the corner, it’s nice to snuggle up in cozy plaid Christmas bedding. 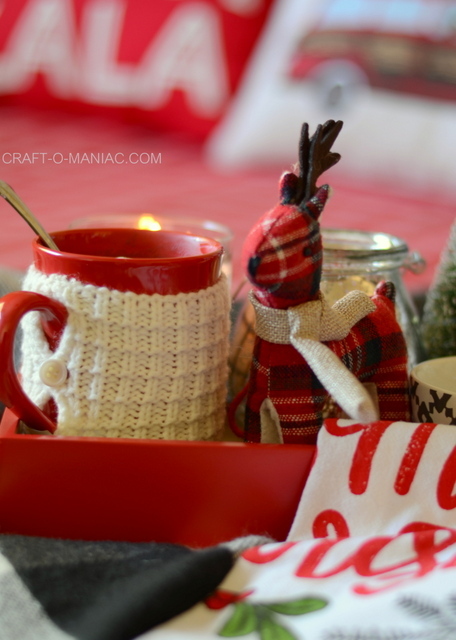 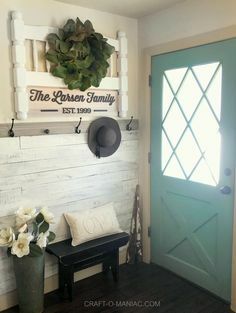 You can even create this cozy look for your guests. 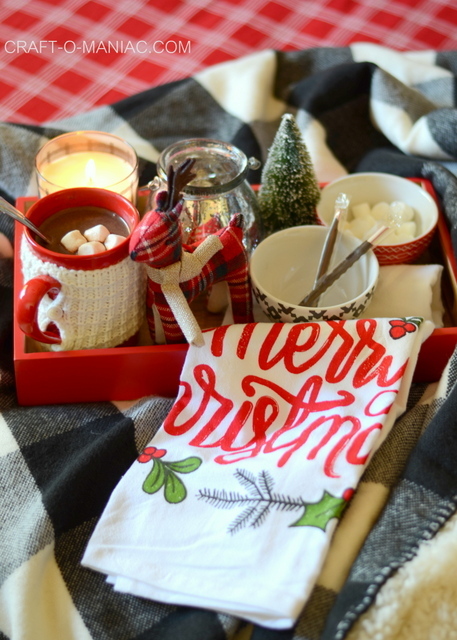 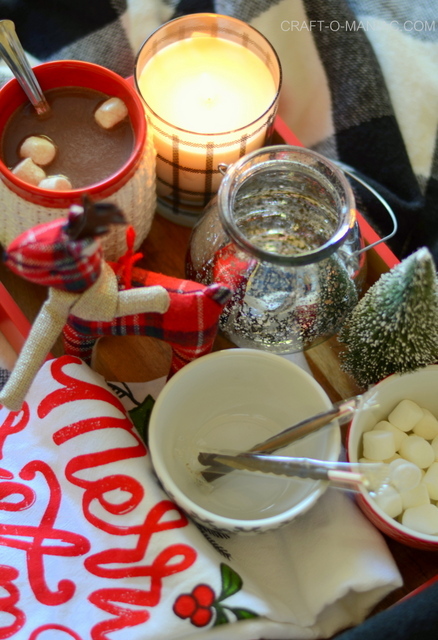 Add a wooden tray to the end of their bed with some hot cocoa, cocoa toppings, a candle, an ornament gift for their tree at home, and all things plaid and cozy (especially flannel sheets). 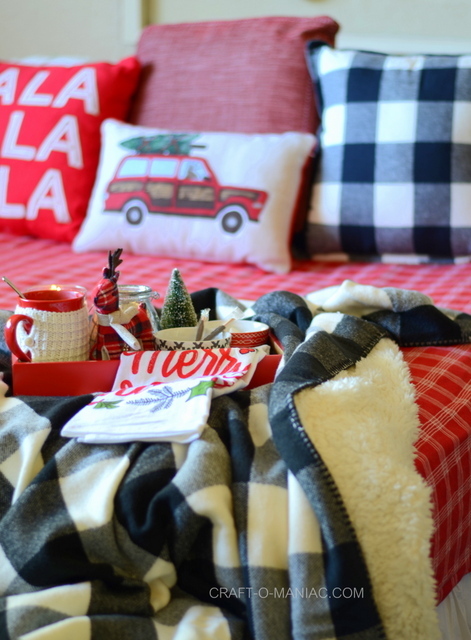 A cozy holiday environment like this is so inviting to your guests, and captures the mood of the holidays so well. 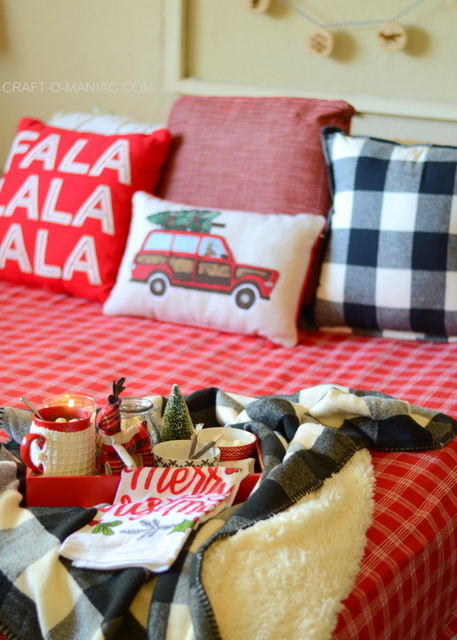 Ninety eight percent of what you see in the images below was found at Target. 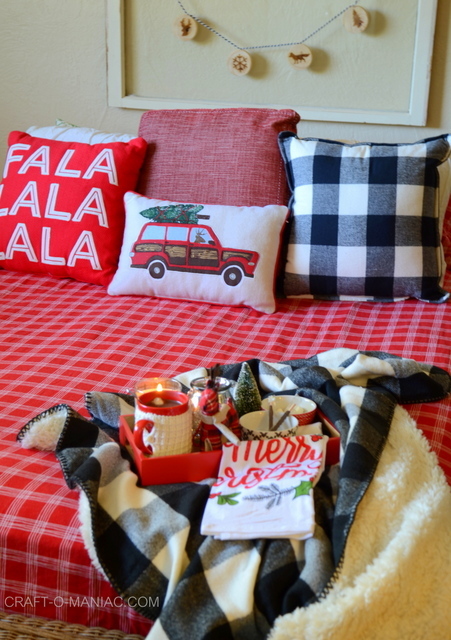 Let’s take a look at how I simply dressed up a bed with some flannel sheets, pillows, a cozy plaid throw, and a tray of holiday goodness. 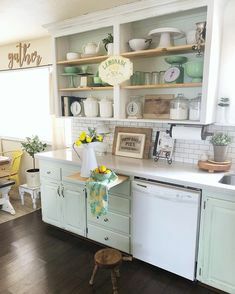 I love the Mercury glass lantern and plaid candle. 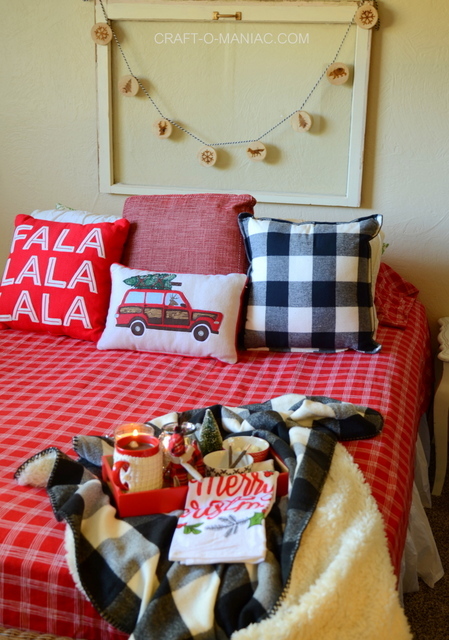 Love me some flannel sheets too!